There are two things that are very popular at the moment - unicorns and slime. What do you get when you put these two things together?! The Poopsie Slime Surprise Magical Unicorn of course! The Poopsie Slime Surprise Magical Unicorn is sure to be very popular this Christmas and we got one to review to share with you guys. 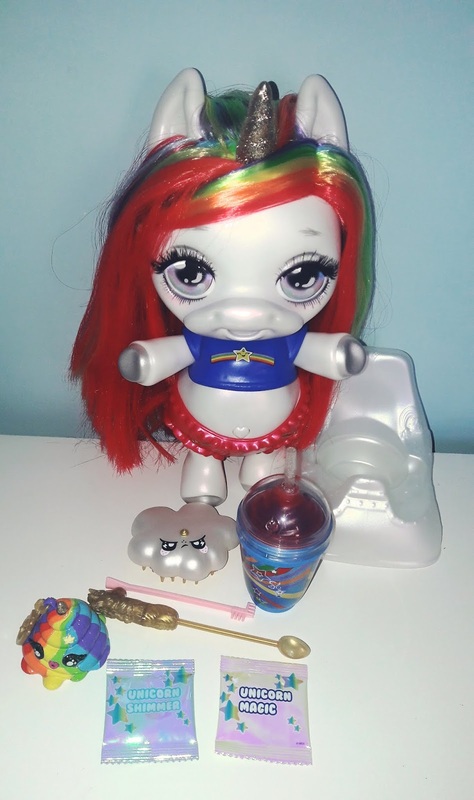 Poopsie Slime Surprise Unicorn is a cute looking unicorn who, once you feed her a magical concoction of shimmer, unicorn food and water, poops unicorn slime! 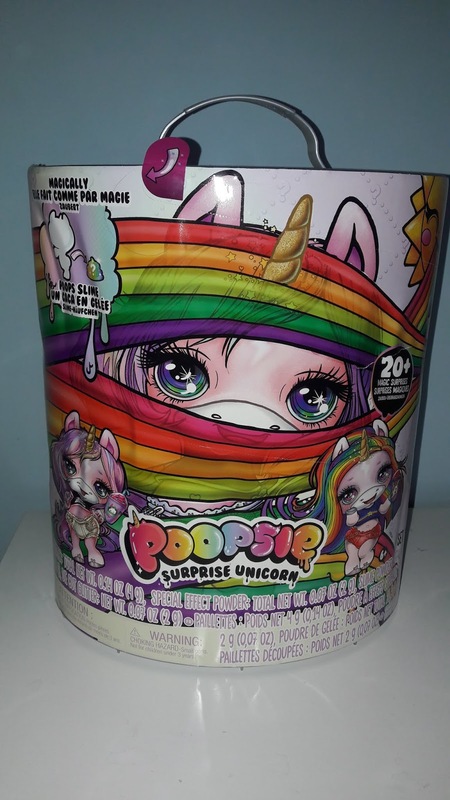 Each Poopsie Surprise Unicorn includes 20 surprises within the box. 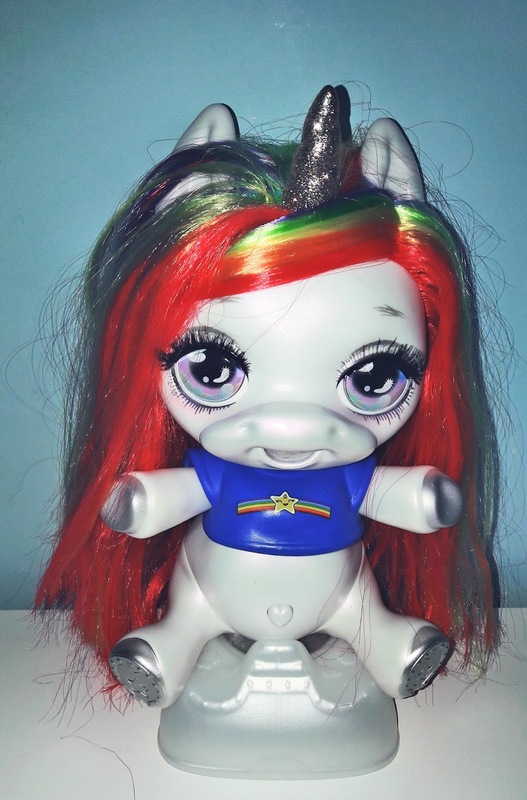 The unicorn you will receive is a surprise too and you can get one of 4 : Whoopsie Doodle (purple), Oopsy Starlight (pink), Rainbow Brightstar (rainbow) or Dazzle Darling (blue). Even though you won't know which unicorn you will get, there is a trick to get a 50/50 chance. White boxes contain either Oopsy Starlight or Rainbow Brightstar and purple boxes have either Whoopsie Doodle or Dazzle Darling. The box is colourful and eye-catching - I can see children being drawn to it. In the first photo you should see that there is an arrow on the box to show you where to start opening it. As you can see we got Rainbow Brightstar. 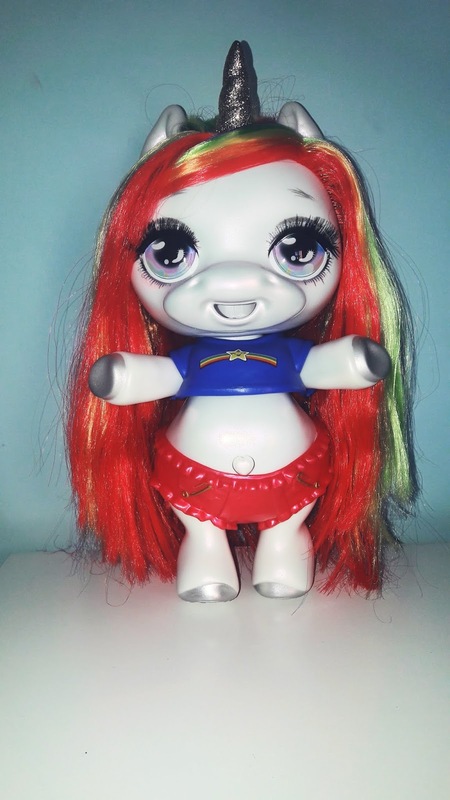 I love her colourful hair, glittery horn, heart shape belly button and her eyes look super cute, framed with eyelashes and she is a pearlescent white. Her accessories are also cute. I especially love the little cloud shaped hairbrush. Before starting make sure that the compartment at the back is in the right position and locked to prevent spillage. I would advise having a cloth handy as it gets messy and avoid being near carpeted areas if possible. When I first looked at the instructions I thought it looked really complicated and so I recommend that your child is supervised, at least with the first try. When making up the slime you have to make sure you follow the instructions carefully to make sure that your slime comes out in the correct consistency and not get stuck in your unicorn. First of all you need to turn your poopsie unicorn on to the feeding setting than you feed her with the shimmer with a spoon followed by 5ml of water. Then you get your unicorn food and mix with water (25ml) and feed your unicorn with the bottle. Once fed, you need to rock her for 30 seconds but don't forget to turn her onto the rocking position first. After rocking your poopsie unicorn pop her on the potty and press her heart shaped belly button to reveal the sloppy slime. 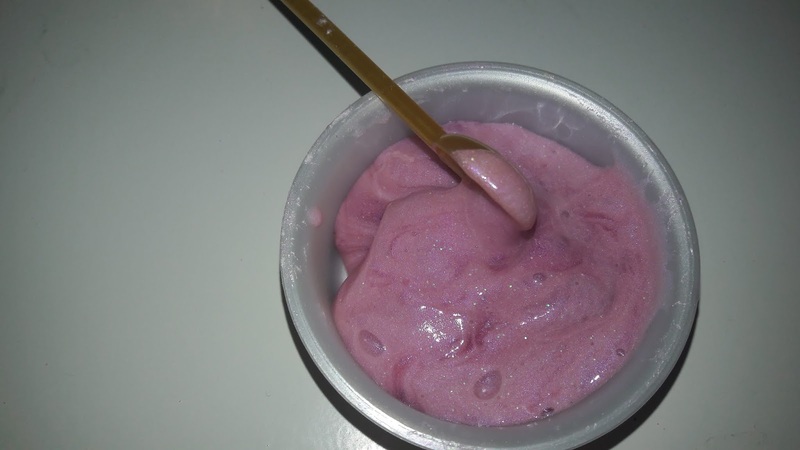 The slime at first does come out as a sloppy liquid , so leave it for around 15/20 minutes to harden into a flexible shimmery slime. The instructions do say that if after 15/20 minutes if it's still a bit liquidy to give it a stir and then you add your unicorn magic. 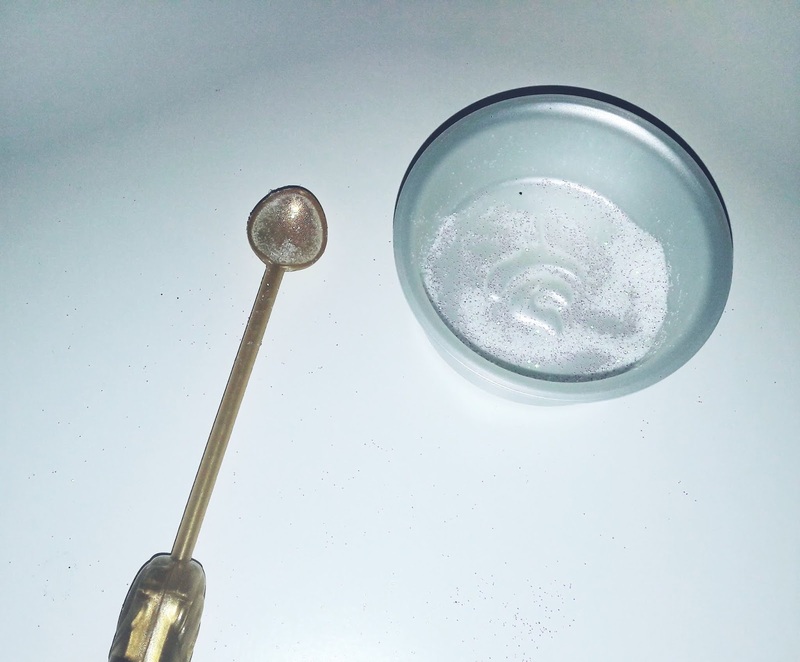 The above photo is of before waiting and the photo below is after waiting, giving it a stir and adding the unicorn magic. As you can see there is certainly a difference, there is an option to add more shimmer if you wish to customise the slime. I definitely found this to be a messy process and it will be complicated for little people to do on their own. The unicorn poop ( slime) is very sticky but fun and it can be kept in the unicorn poop keyring for storing when finished playing with for a short time. After all the fun there is of course the cleaning , however us parents can rejoice as its not hard to clean up. 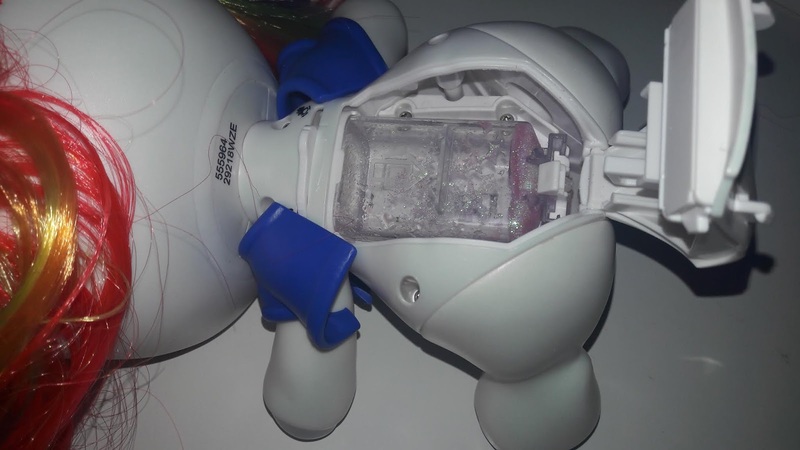 Just pop open the back of your poopsie unicorn and take out the little container to rinse out with warm water and dry before popping back in. There is also a handy cleaning brush to clean inside her mouth however so far I've not needed to do this. I would advise definitely to clean out poopsie as soon as your child has finished making slime. Even though its a tad complicated to begin with and there are limited amounts of slime it's still a toy I can see being used again and again. 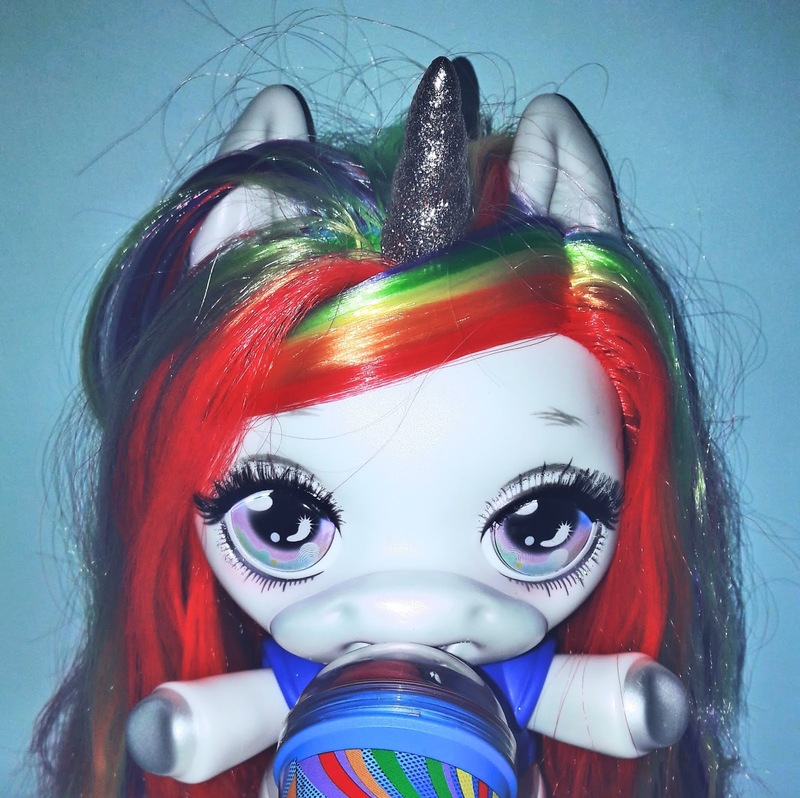 The accessories make it fun so you can brush your unicorns hair, pretend to feed her etc without needing slime. 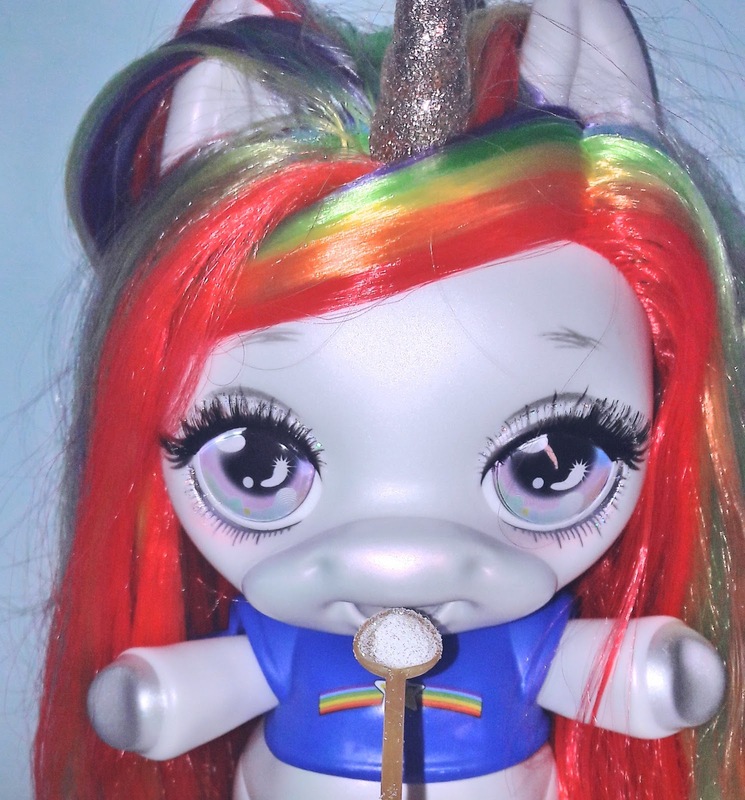 The fact that its part of a collectable means children will come back to their poopsie unicorn especially as you can purchase additional smaller poop packs for £9.99. Over all I can see why its going to popular Christmas 2018 with it featuring kids favourites unicorns and slime. At £49.99 I do feel its a bit steep price wise however as you can get the extra poop packs it certainly means it won't just left on the shelf after the first go. 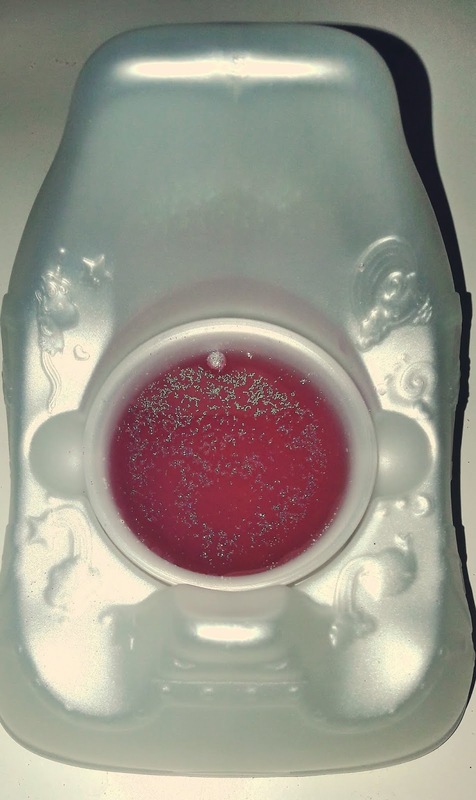 * We were sent the Poopsie Slime Surprise Magical Unicorn in return for an honest review. All views and opinions are 100% my own. All three of my lot would like this - which self-respecting kid wouldn't, eh?! This is on my girls Christmas list. What could be better. Slime and unicorns. It's the dream!